HÖMGRL | Oh em gee. Okay, Okay. 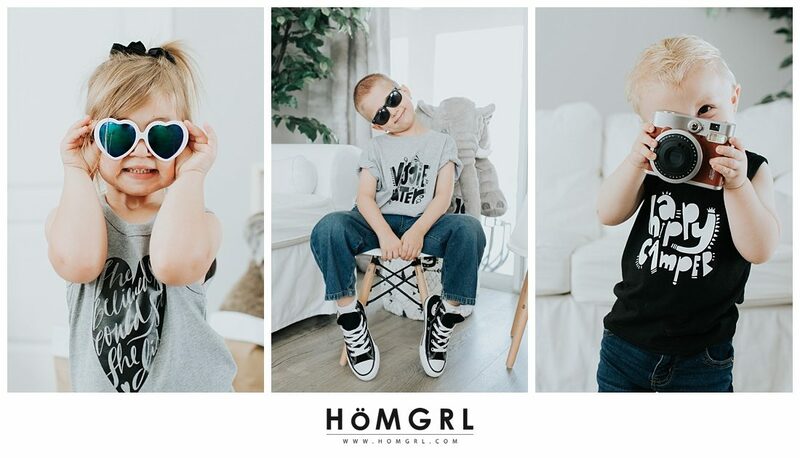 There’s so much more to share from the official HOMGRL shoot focusing on the whole new line of cool kids tees BUT I couldn’t resist sharing just a few from yesterday’s fun! So in love. This new kids line of graphic tees is a little bit of anti-bullying, a smidge of healthy habit forming, and a whole lot of fun. As a tot mom, I felt the need to create not only cute tees for my little to wear but also ones that promote more kindness, health, and leadership. I hope y’all love this line as much as I do. More to come. Pinky swear.